Aziza Bennani is the former Permanent Ambassador of Morocco to UNESCO, where she was the first female Moroccan ambassador. 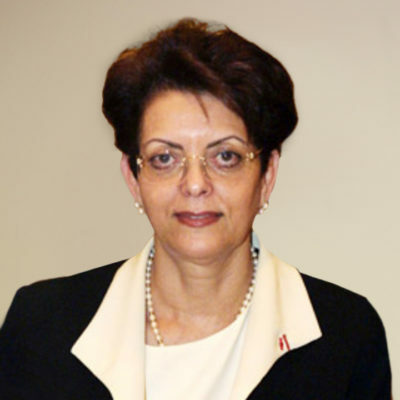 She was head of the Department of Hispanic Studies at Mohammed V University from 1974 until 1988, when she became Dean of the Faculty of Letters at Hassan II Mohammedia University. In 2007, she was elected President of the 16th UNESCO General Assembly of the States Parties to the Convention concerning the Protection of the World Cultural and Natural Heritage. Aziza regularly speaks on the vital role cultural diplomacy plays in political diplomacy and also on the importance of intercultural dialogue.